High Frequency Darsonval facial device is the most popular skin care tool ever. 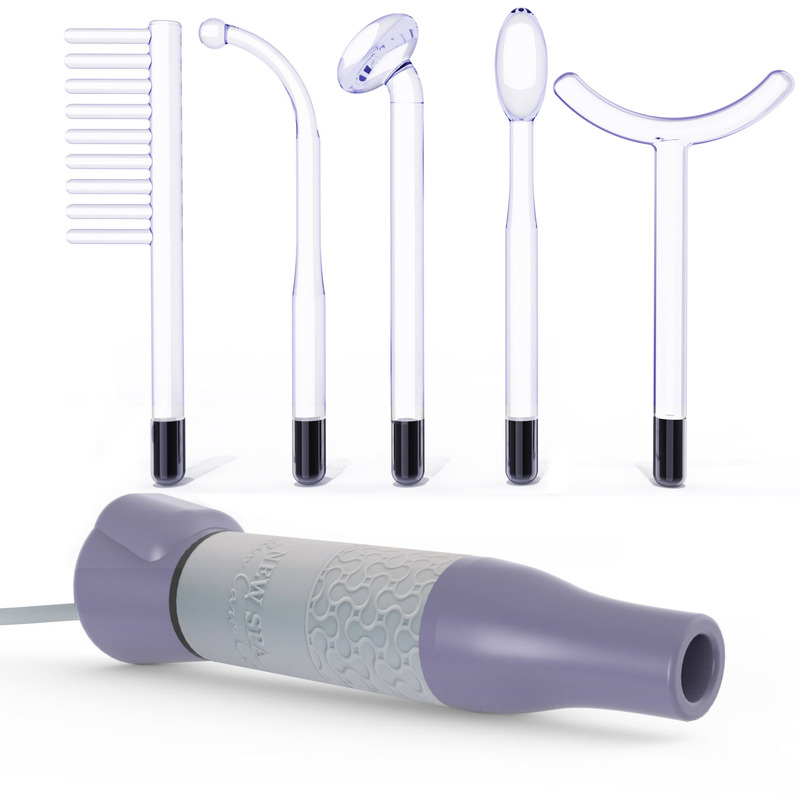 Our improved model features 5 argon filled electrodes and a high frequency wand. Soft silicone sleeve will protect the hand from an accidental static discharge from a glass electrode. The high frequency darsonval device, called d’arsonval after the name of its creator and is a portable tool that transmits static electricity through the glass tube – the electrode. When massaging the skin with high frequency darsonval attachment, the skin receives a mild static discharge that have stimulative effect. This method was known and studied in Europe since 18 century and was allegedly used to treat many skin and health conditions. Nowadays FDA does not recognize the medical use of darsonval other that for cosmetic purposes, but we can still enjoy the stimulating and relaxation effects of different high frequency skin care techniques. This personal high frequency darsonval model comes with a set of 5 electrodes. It allows to treat different body areas, from feet to scalp, in the same effective way. 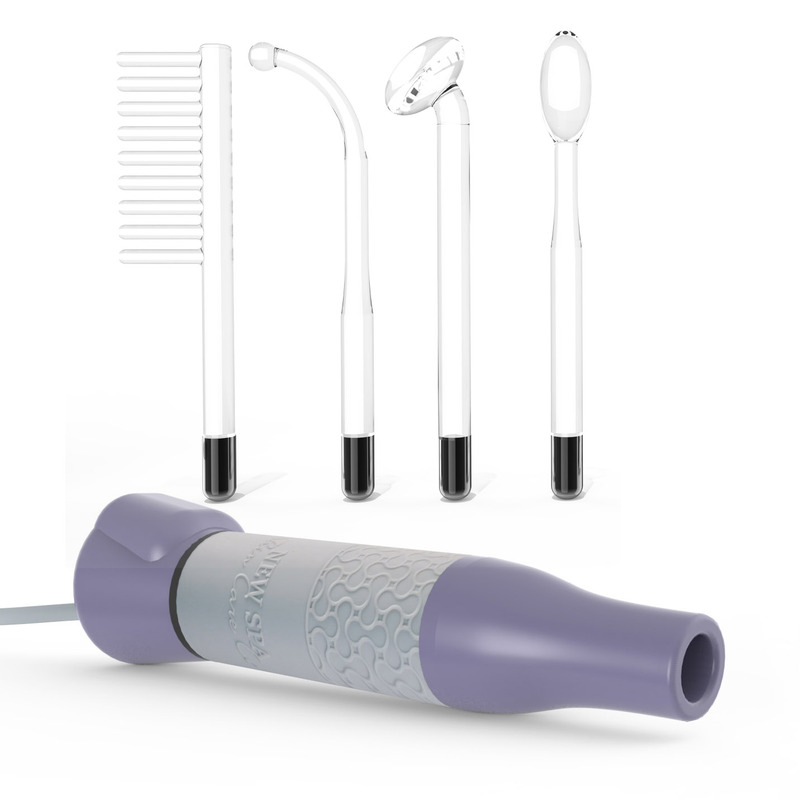 Use the mushroom glass elecrode for facial massage and any larger areas. Use the spoon electrode to treat small, delicate areas such as under the eyes, upper lip and nose. The comb electrode will help to keep your hair shiny and full and will stimulate blood circulation in the sculp. Wide electrode will be handy to apply on problem areas on thights, legs and arms.